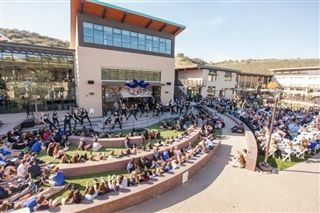 On February 2nd, the Pacific Ridge community celebrated the opening of the new Middle School/Administration building and Arts & Technology Center. Mr. Blackburn, Dr. Ogle, student council president Christian Potter and Chair of the Board of Trustees, Dr. Jay Lichter, gave remarks about the tremendous growth of the campus and expressed appreciation for the generosity, patience and vision of the Pacific Ridge community. 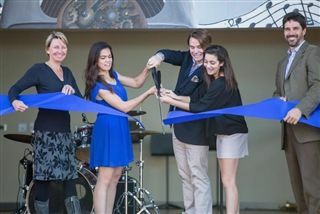 The celebration was punctuated with enthusiastic performances by the cast of the Upper School musical, the Pacific Ridge Jazz Rock Ensemble, service learning group Notes of Hope and the Pacific Ridge Vocal Ensemble.